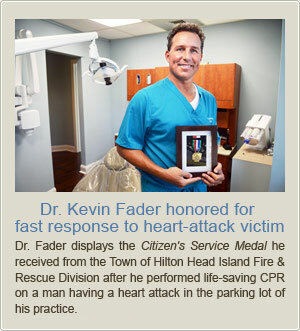 Island Family Dental Kevin B. Fader, D.M.D. Your smile is often considered to be the most distinguishing feature of your face. Even slight changes in your smile can make a dramatic difference in the way you look and most importantly, the way you feel. Dr. Fader is a leading provider of Cosmetic & General Dentistry in the Hilton Head Island/Bluffton SC area and has over 20 years experience in helping his patients look and feel their best. He also has been voted Hilton Head's "Best Dentist" for 2010, 2011 & 2012 by Hilton Head Monthly Magazine. 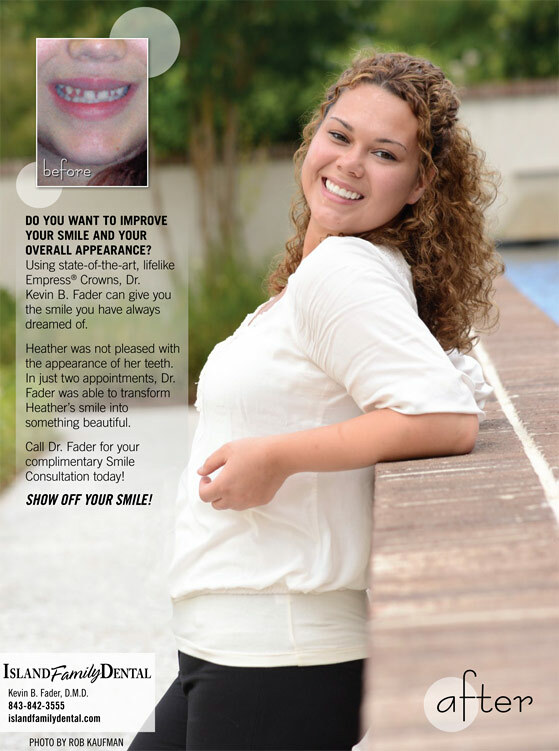 From routine dental hygiene, ZOOM™ whitening, and smile makeovers, to bonding, Empress® Veneer & LAVA™ Crown restorations and full mouth reconstruction, Dr. Fader and our highly skilled team offer the latest treatment techniques, with comfort and safety at the forefront. At Island Family Dental, our focus is to provide the highest level of dentistry in a setting where patients are comfortable and feel at ease ~ striving to ensure that a patient's appointment is as convenient, hassle-free and pain-free as possible. The safety is also top priority. Our team uses only mercury-free, biocompatible materials along with digital X-rays, which provide clearer images and expose patients to much less radiation than traditional x-ray techniques.